Welcome to A Class Learners the driving school Wanstead. You may be searching for driving lessons in Wanstead or near Wanstead and looking for the best driving instructors in Wanstead to learn how to drive with. We can say we are the best as we have expert highly skilled driving instructors that are fully qualified which are backed by our Reviews. We offer cheap driving lessons in Wanstead with manual driving lessons starting from just £16 per hour when you block book. Once you complete your block booking our manual driving lessons in Wanstead cost £20 per hour. Call our Wanstead Driving School on 0208 220 7402 for more information. We have both male and female driving instructors in Wanstead London that teach both manual and automatic driving lessons in Wanstead. To book your driving lessons in Wanstead and Waltham forest and surrounding areas call our Driving School in Wanstead on 0208 220 7402. Our Driving School only has Fully Qualified DVSA approved driving instructors in Wanstead and the surronding areas. Our male and female driving instructors are patient, reliable and friendly and deliver the very best teaching standards set by the DVSA. Our Wanstead driving instructors use track records so that you know exactly at which stage of learning you are at every step of the way. Our Driving Instructors have experience with all types of learners from beginners, new drivers, learners who have had a few driving lessons, driving test retakes, refresher driving Lessons, if you have a full driving licence but have not driving in a while, defensive driving, you have been in a car accident and need more driving lessons to build your confidence back on the road or you have been disqualified from driving and need to retake your driving test to get your driving licence back. If you have driven before and had driving lessons from another driving school, we offer an assessment driving lesson to let you know how many lessons you need to be test ready. Unlike many driving schools in Wanstead, we can offer both automatic driving lessons in Wanstead and manual driving lessons in Wanstead. 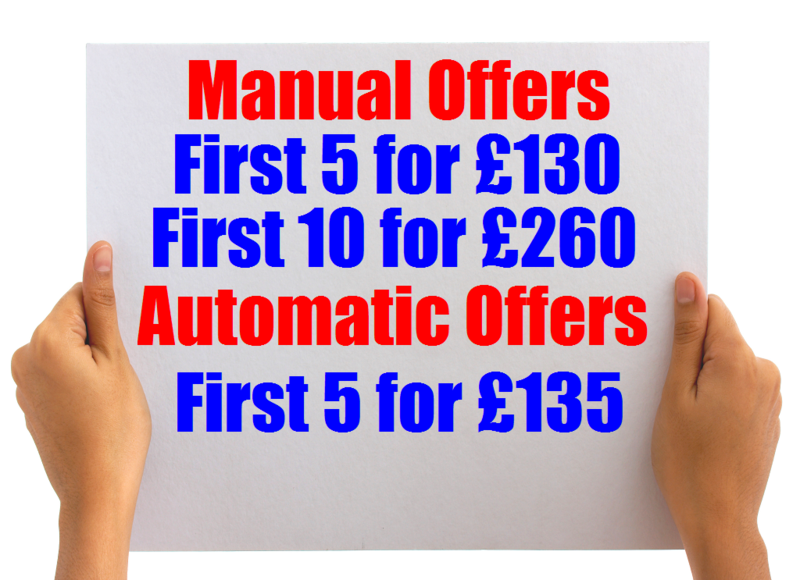 Your First 5 automatic driving lessons in Wanstead cost just £95 or first 10 automatic driving lessons in Wanstead cost £190, there after our rate is £21 per hour. Please see our prices for more information. Our automatic cars in Wanstead are all fitted with dual controls for your safety, and our cars are small to medium size, which makes it easy to learn your automatic driving lessons. We are going to spill the beans about some driving schools in Wanstead. There is something that some driving schools in Wanstead don't want you to know and find out. Some driving schools in Wanstead are using non fully qualified driving instructors to teach driving lessons in Wanstead. Thay are also known as PDI's short for provisional driving instructors. They are new to the job and are not fully qualified but can teach legally. Fully qualified driving instructors have more experience and have better pass rates. The way to identify them is to check if they have a pink badge in their driving instruction vehicles winscreen, and often they will not display it, and this must be displayed by law. Your probably wondering what colour badge does a fully qualified driving school instructor in Wanstead have? The colour is green, so make sure you check. At A Class Learners we offer intensive driving courses sometimes called crash course for those who want or need to pass there driving test quickly. If you have driving experience our driving instructors will assess you first and let you know how many lessons you will need to be ready for your driving test. We can fit you in depending on our availability as our driving lessons crash courses in Wanstead are in high demand. The DSA advise that it can take up to 40 driving lessons for a beginner to be ready for your driving test. The simple fact is the more practice you get at driving the better you will be at driving. To book your driving lessons in Wanstead, simply Book Online and a driving instructor in Wanstead will call you and book your first driving lesson. Please note you pay the driving instructor directly on your first driving lesson.